Truly understanding your audience is crucial for the success of your Ecommerce store. 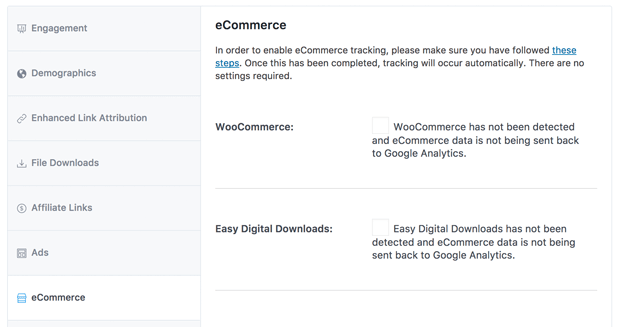 MonsterInsights Ecommerce Tracking gives you all the data you need on your WooCommerce or Easy Digital Downloads store. 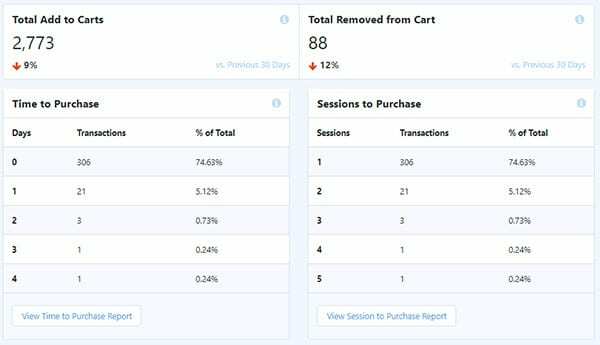 With just a few clicks, you can integrate Google Analytics Ecommerce tracking with your WordPress stores. 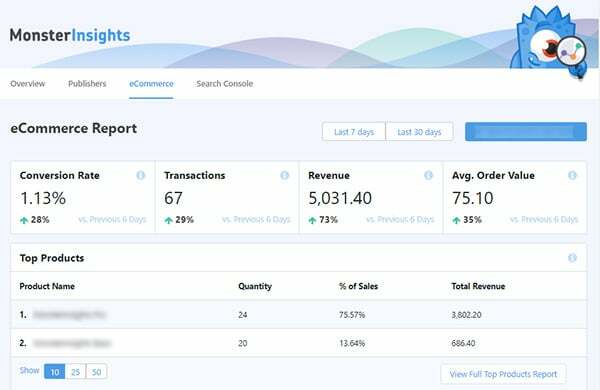 In the new eCommerce report right in your WordPress Admin you’ll see all the critical eCommerce data you need at a glance: your conversion rate, transactions, revenue, and average order value, and more. Not only that, but your eCommerce data is presented in a way that’s clear and easy to understand. This will help you understand your customers and optimize your store for more sales. 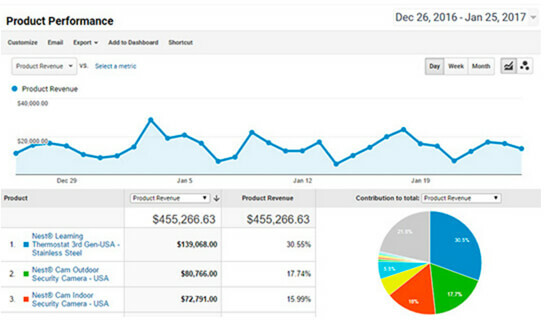 Even more detailed reports are available at Google Analytics. MonsterInsights gives you the data you need to make your Ecommerce business a success.